Beaches, countryside and some of the finest local food..
A short journey from home, but a million miles from the hectic pace of 21st century life! 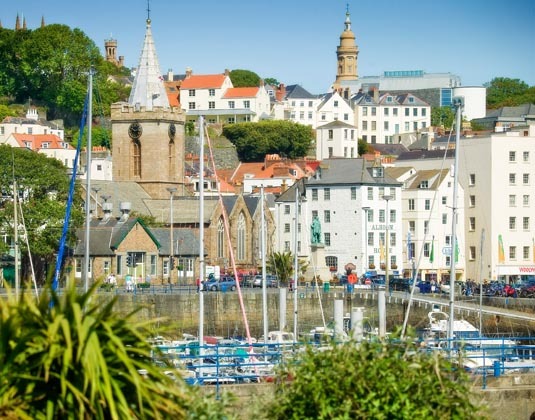 Nestling off the Normandy coast, Guernsey is the second largest of the Channel Islands, and although only a short hop from its bigger neighbour, is most definitely its own island. Full of natural beauty, it provides a relaxing environment for a peaceful getaway. For most visitors, the island’s coast is its greatest draw and with over 28 miles of spectacular cliff top paths and rural lanes, the best way to appreciate it is on foot at your own pace. The south and east is cliff fringed with meandering coastal paths leading you through pine forests and past rocky coves to reveal stunning views of dramatic cliffs and headlands; while the north and west coast is flatter with miles of sweeping sandy bays or wide open beaches. Inland the Ruettes Tranquilles are narrow, winding lanes which take you off the beaten track through the countryside where high hedges of wild flowers front traditional Guernsey cottages. But this little island packs in many other enticements. The capital St Peter Port, with its quaint cobbled streets, Regency architecture and picturesque seafront marina, is considered one of Europe’s prettiest harbour towns. 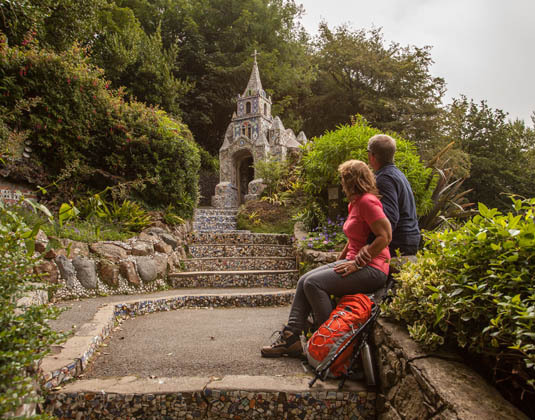 Along with shops, boutiques and bustling markets you’ll also find Castle Cornet which has stood guard over the town for 800 years, beautiful Candie Gardens and Hauteville House, the former home of French writer Victor Hugo. Heritage is a big part of island life and Guernsey has a story to tell around every corner. Discover burial mounds dating back to Neolithic times, Napoleonic sea defences and reminders of the German occupation. When it comes to spending time outdoors the whole family are spoilt for choice. Try kayaking around the coves on the south coast, coasteering down 300ft high cliffs, windsurfing and sailing, or enjoying a round of golf on one of the island’s beautifully-kept courses. Nature lovers are in for a treat too, with plenty of bird watching opportunities, including boat trips around the islands in search of puffins. There is an abundance of amazing local produce grown and reared on the island and gathered from the surrounding waters. 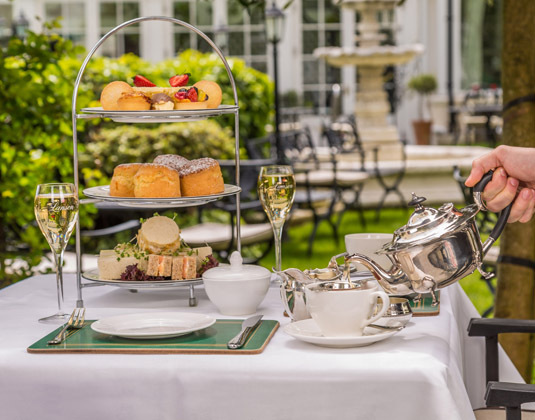 Whether it’s fish and chips with your toes in the sand, an indulgent afternoon tea, good value pub-grub or blow the budget dinner, Guernsey prides itself on the plethora of restaurants, cafes and kiosks to choose from. 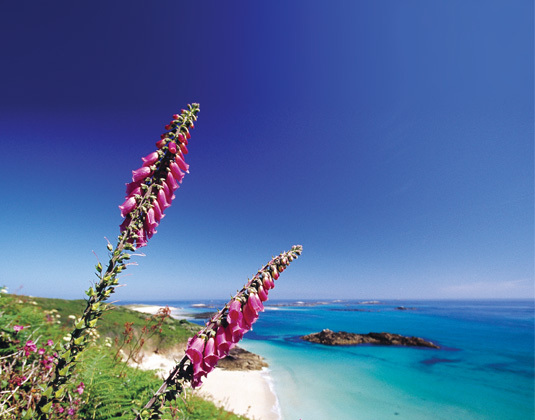 Our vastly experienced travel advisors are passionate about Guernsey. With first-hand knowledge of when and where to go they can create the perfect holiday experience for you, at the best possible price. Geography: The island covers an area of 24 square miles with a population of 60,000. 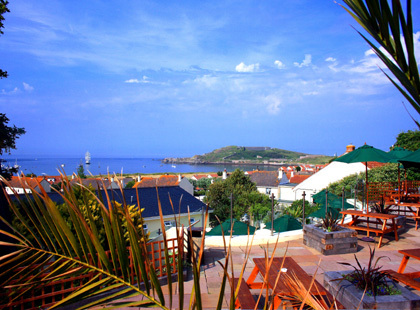 It is the second largest of the Channel Islands, after Jersey and is divided into ten parishes. 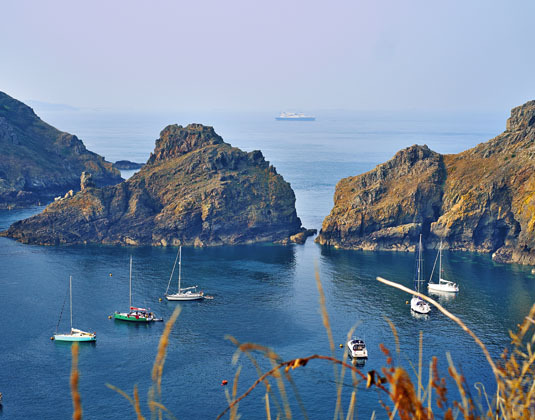 Travelling times: Guernsey is just a short flight from mainland UK and accessible from a wide range of regional airports or you can travel by fast sea cat from the south coast in around 2� hours. Transfer times: Travelling time from the airport to St Peter Port is around 20 minutes and most places can be reached within 30 minutes. Ferries arrive in St Peter Port just minutes from most town hotels. Hotels around the rest of the island are not usually more than 30 minutes away. Transfers are not included in the price of our holidays although you may choose to pre-book taxi transfers at a supplement. Passports & visas: You don�t need a passport to travel to Guernsey, but all airlines do require that you produce photo ID at check in. Currency: Sterling, although they do have their own coins and notes, which are identical in size to ours. UK sterling currency is accepted.